As ya’ll know, I’m OBSESSED with pumpkin!! Like seriously. Obsessed. 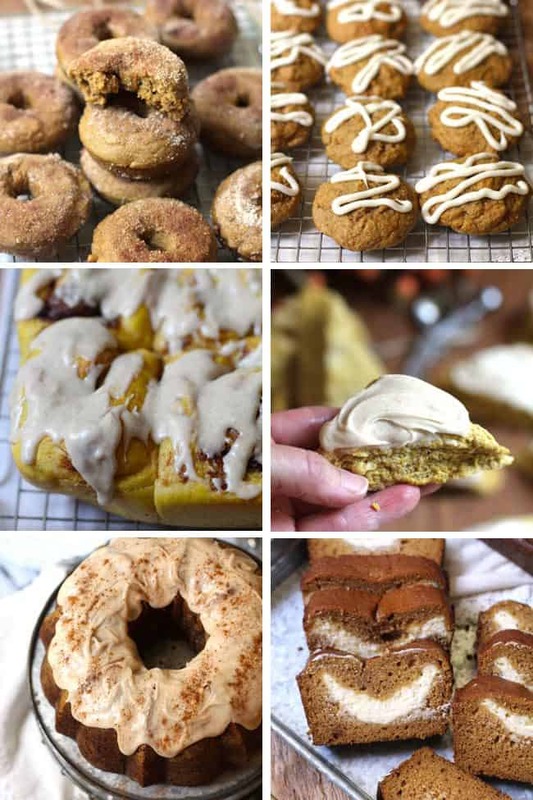 The following six recipes are some of my top pumpkin treats, and will make you crave pumpkin all year long! 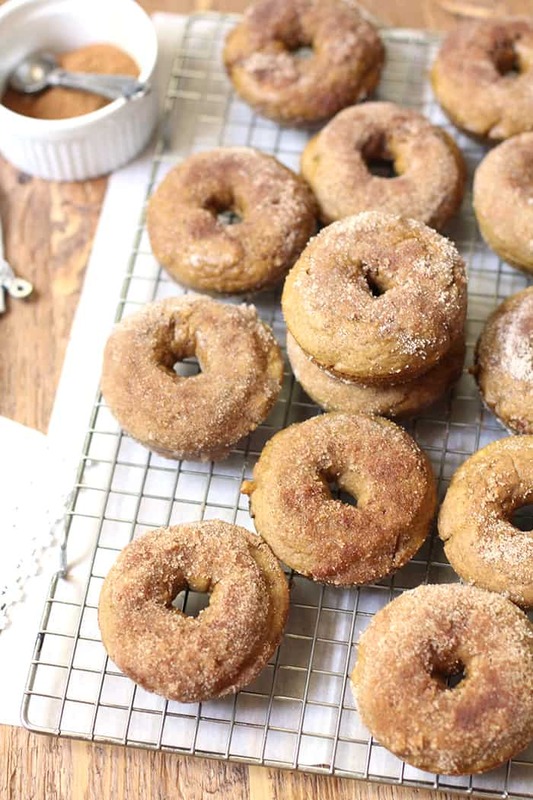 I usually stay FAR away from donuts, but not these baked ones! A little healthier than Crispy Creme’s and just as delicious, especially hot out of the oven. So good! 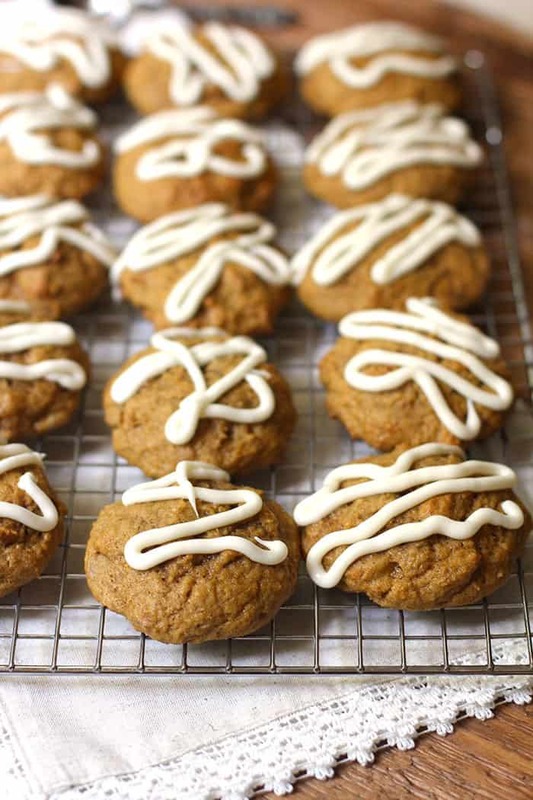 I’ve been making these pumpkin cookies for years now, and have passed the recipe on and on and on! They are best served cold (I store them in the refrigerator) with a hot cup of coffee. 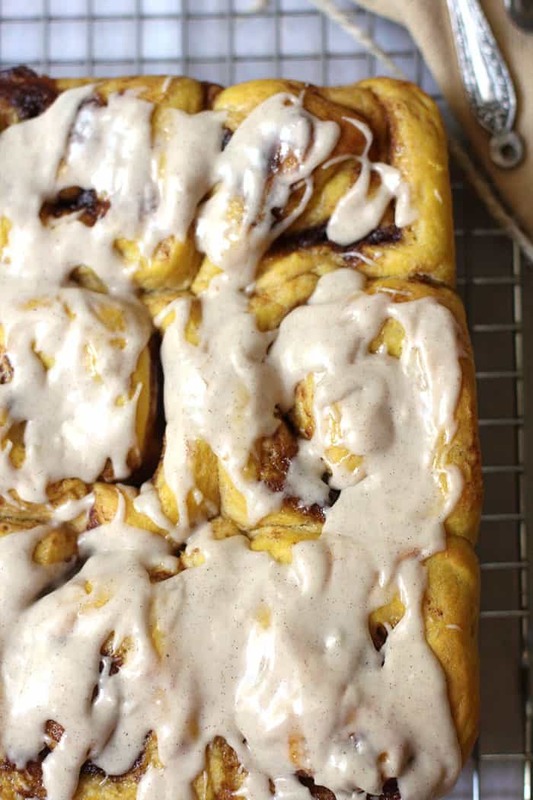 Oooey, gooey, pumpkin goodness – that’s the best way to describe these cinnamon rolls. The method is similar to my mom’s cinnamon rolls and I’ve included tips for best results! 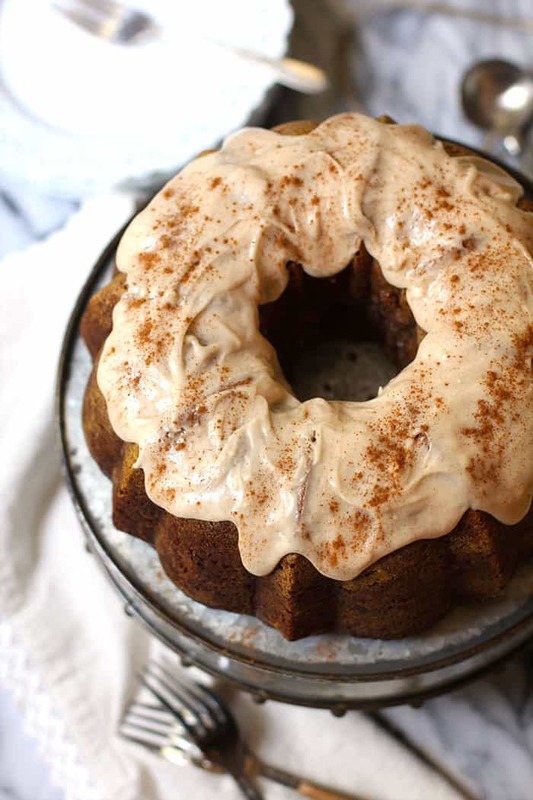 Bundt cakes are the best cakes for celebrations, and this one freezes beautifully. The streusel layer of this pumpkin cake will melt in your mouth, and you’ll swear it’s the best cake you’ve ever tasted! 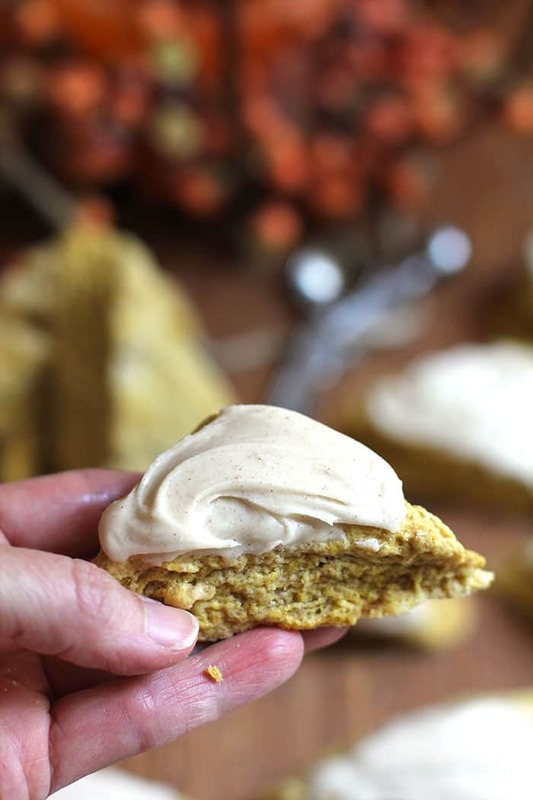 When it comes to these pumpkin scones, EIGHT times a charm! I struggled with getting this one to have that crumbly-buttery-scone-texture, but my persistence finally paid off. These freeze great too, so you can serve your Holiday guests a scone with their morning coffee! That cream cheese layer tho! 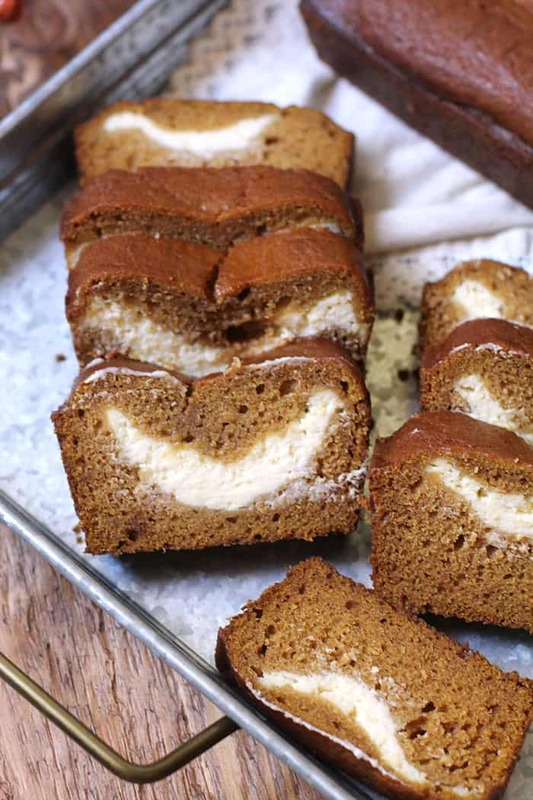 My Pumpkin Cream Cheese Bread requires stretchy waistbands and a big glass of milk. If you are searching for a thoughtful gift, wrap a loaf up in some pretty paper and GIVE away! Some of my links are Affiliate Links who pay me a small commission for referring them. This referral won’t cost you a penny but will help offset the cost of running my blog, so that I can keep these recipes flowing. Thanks for supporting suebeehomemaker.com. All of the choices are amazing, but the scones are incredible! For recipe suggestions, advertising, site feedback or if you just want to say hello, please use my contact form here. Subscribe to my newsletter to get the latest posts right to your inbox. Nutritional information for SueBee Homemaker recipes are estimates only, based on an online calculation. Please verify with your own nutrition calculator if these recipes are used for a specific diet or health consideration. Make delicious meals at home, that are EASY, (usually) healthy, and affordable. I'll show you how!